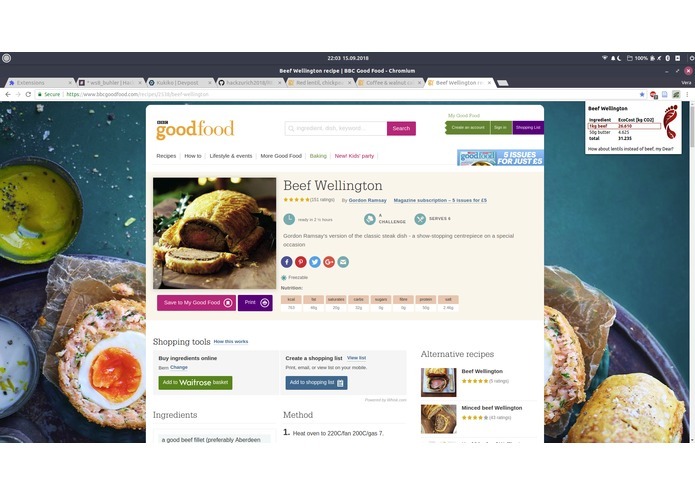 Kukiko aims to facilitate eco-friendly cooking through a Chrome extension reporting recipes' environmental footprint. Food production is one of the biggest contributors to greenhouse gas emission, as well as having diverse effects on our environment, from habitat destruction due to conquering virgin lands for agriculture or the pollution of land, water and air by chemicals. However, not all foods are equal: distinct food types are associated with wildly varying environmental foot prints. For example, producing a kg of beef causes more than 2.5 times as much CO2 emission than the same weight of tofu. 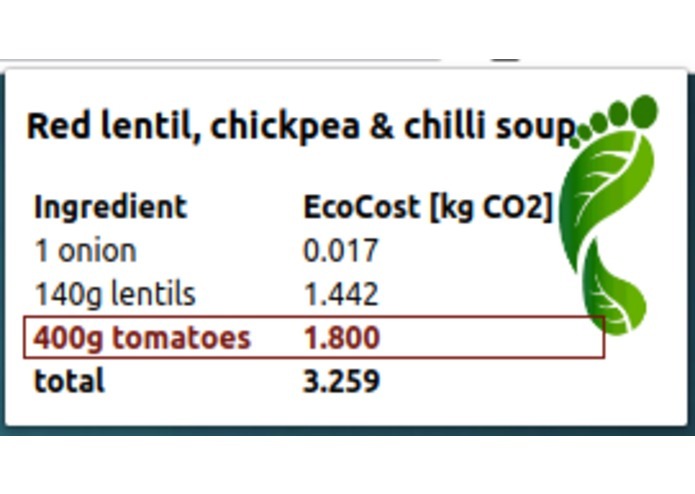 Although the environmental costs of certain food groups, such as meat, are well-known, not many of us are aware of the comparison of other groups. As a vegetarian suffering from cheese addiction, I was surprised to find out that the environmental cost of cheese is nearly twice as much that of chicken meat! 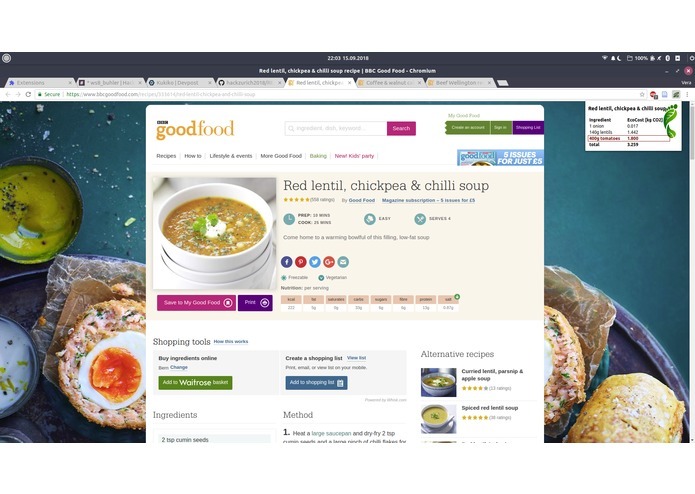 Our aim while developing Kukiko was to raise awareness of the differences in the environmental costs of various food groups and facilitate eco-friendly choices when choosing a recipe to cook. 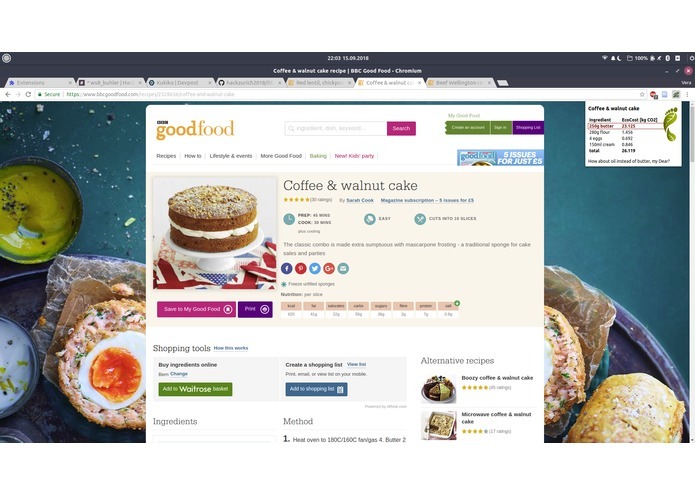 Kukiko is a Chrome browser extension that scrapes pages displaying a recipe and calculates the cost of each ingredient. It then marks those with the highest negative impact on our environment and attempts to give polite suggestion for a better, friendlier alternative. In these 40 hours, we got from zero to a working Chrome Extension; and one that we would be happy to use. 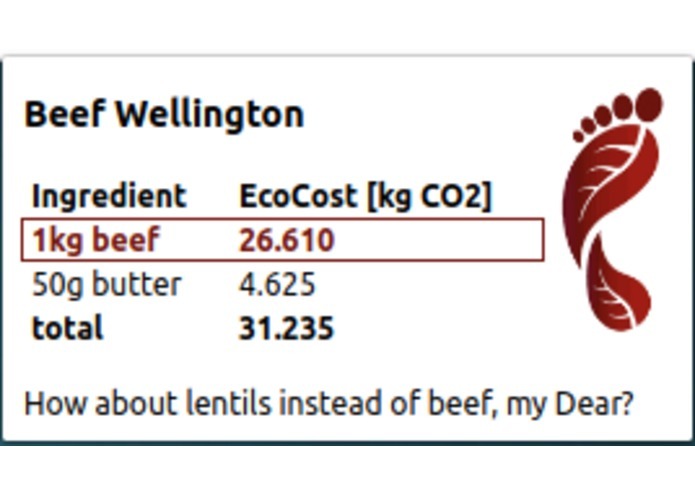 On the data side, it was interesting to see how different the environmental footprints of a given food type can be depending on the source you consult. 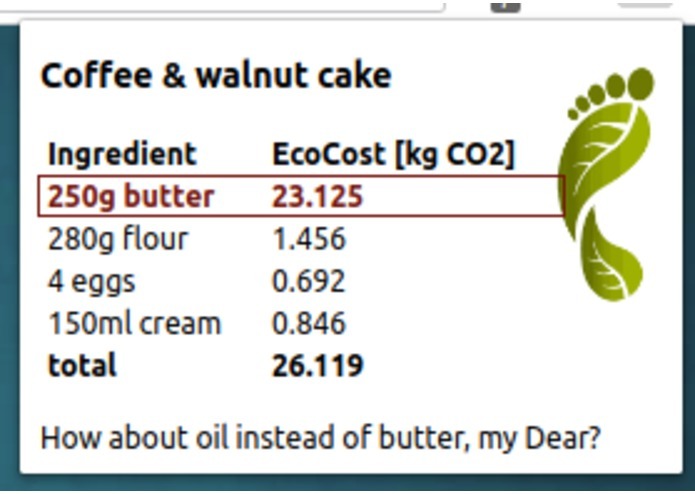 For example, the CO2 emission values we found for almond milk, made from the water-intensive almonds, were anywhere between a third of that for cow milk to nearly as much as the original animal product; and then we didn't even look at other metrics like biodiversity loss. Making an informed choice really isn't easy, no matter how hard one tries! On the technical side, Chrome Extensions are easy to start up, but complicated to use for more involved purposes. In order to have a fully functional application with database access and user information, one has to know about multiple frameworks, application servers and how these all are integrated together.